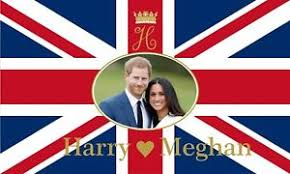 To celebrate the Royal Wedding we are inviting the children at Heathcote Polkadot to wear red, white and blue to pre school on Friday 18th May. 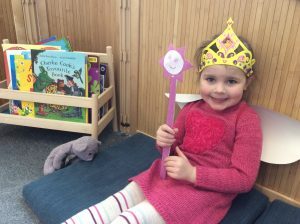 We will be making crowns and flags and decorating biscuits. 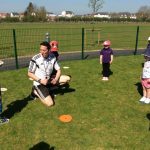 Every Thursday at Polkadot Heathcote Danny from DF Sports Coaching has started to come and teach us ball skills, we listened well to the instructions that he gave us as we joined in. 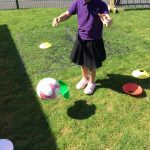 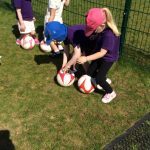 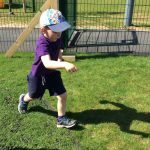 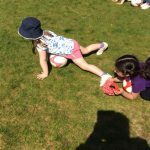 We enjoyed learning new ways to kick and control our footballs, we played fun games to help us learn. 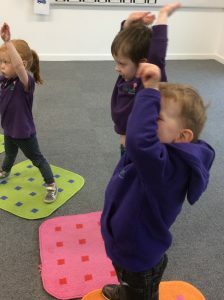 We learnt the Buzz Lightyear pose, and how to use our shoulders as mirrors to move backwards. 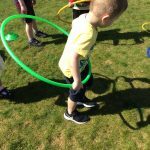 To support our number and colour recognition Danny held up different coloured hoops which we had to name. 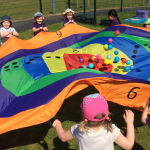 Then we got the parachute out and played a number/colour game. 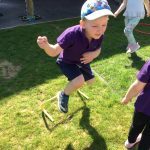 We also practised jumping over hurdles, moving around the cones and jumping in and out of the hoops. 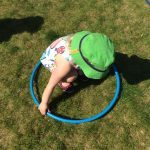 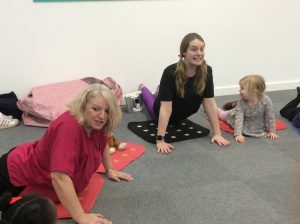 Polkadot Heathcote – Parent’s join in Yoga Bugs! 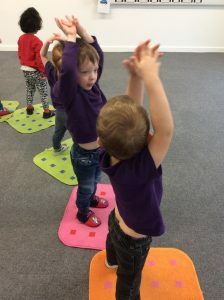 The children had a lovely time joining in with yoga bugs, going on an adventure. 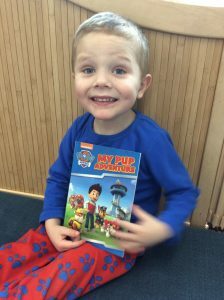 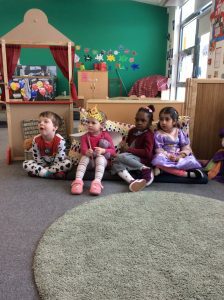 The story which lead us to our adventure was “ We’re going on a bear hunt”, we went through the grass, river, forest, snowstorm and into the cave where we met a big bear who wanted to be our friend. 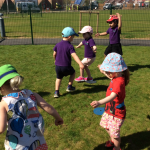 Some family members joined us for our adventure, we showed them how to join in with the moves. 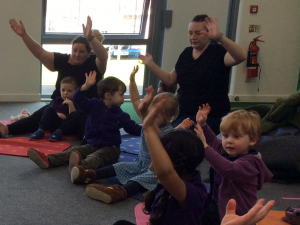 It was so much fun to share our yoga bugs session with them! 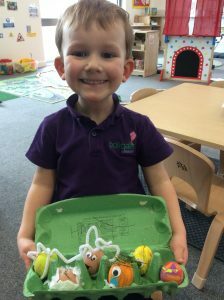 1st place goes to…….Harry for his box creations – especially the one of his Grandad! 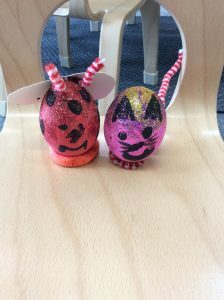 Happy Easter to everyone and have a lovely break! 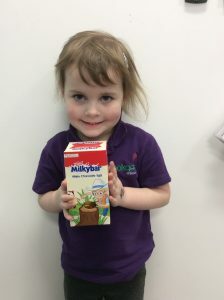 Enjoy the chocolates! 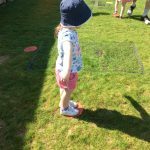 Polkadot Heathcote – Dates for the Diary! 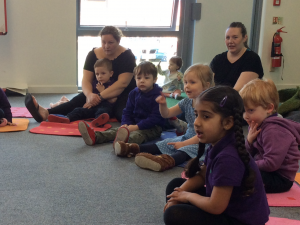 The Heathcote Team would like to invite all our families to join us for a YogaBugs Session on Monday 16th April. 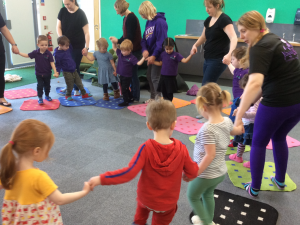 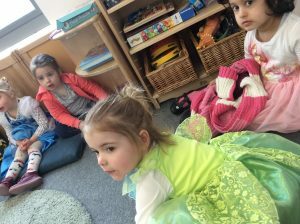 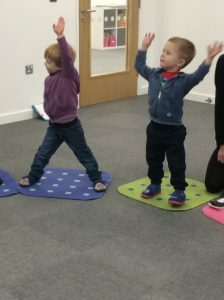 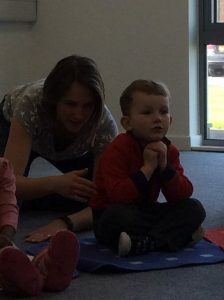 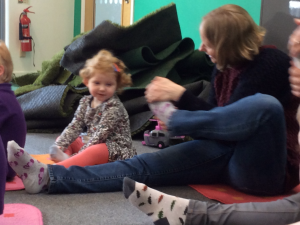 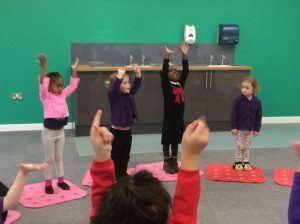 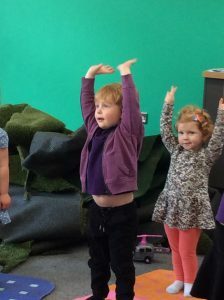 The children really enjoy the YogaBugs sessions and we are sure you will too. 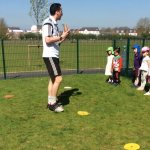 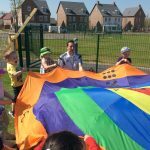 It will give you a fantastic opportunity to see what the children are doing. 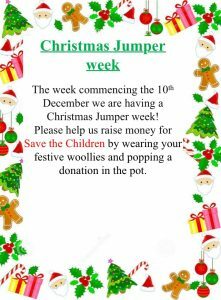 We hope you will all join in and allow your inner child to be free! 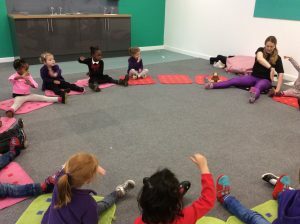 The YogaBugs Sessions starts at 9.30 – 10.20. 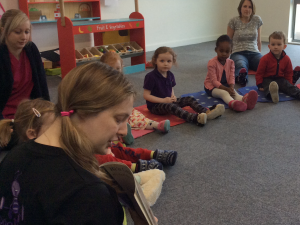 You are welcome to join us from 9.00 am. 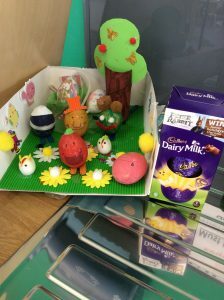 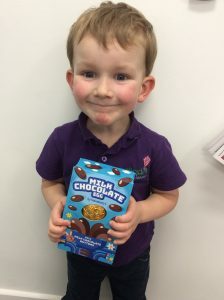 We will be holding an Easter Egg Competition on Thursday 29th March 2018. 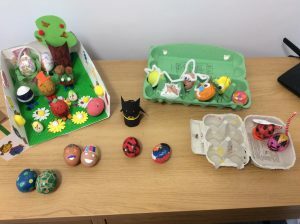 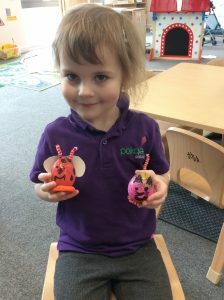 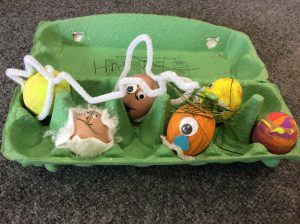 If your child would like to decorate a boiled egg please bring them into Nursery on Thursday 29th March. 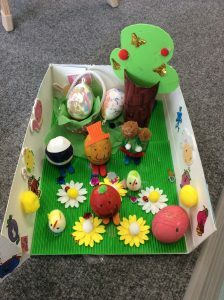 You can google some fantastic ideas or let your child’s imagination run wild. 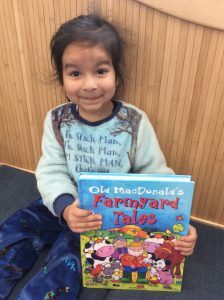 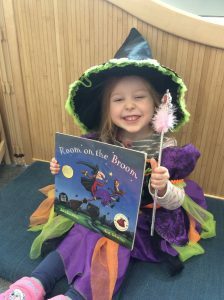 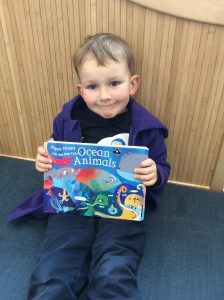 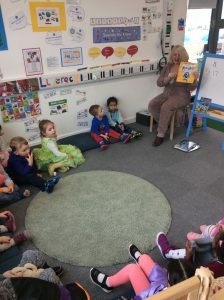 ‘We have been celebrating World Book Day at Polkadot Heathcote. 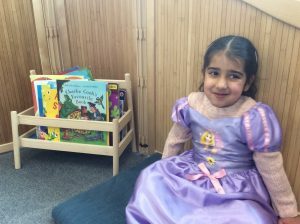 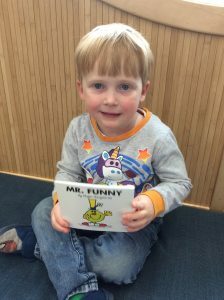 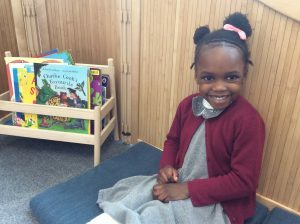 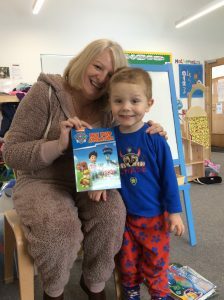 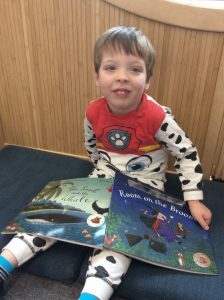 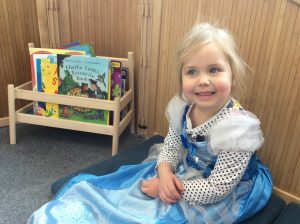 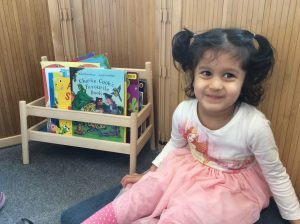 The children all arrived yesterday as their favourite book character or wore their pyjamas. 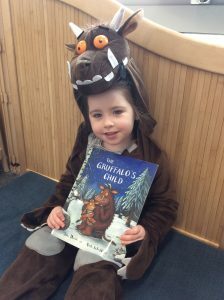 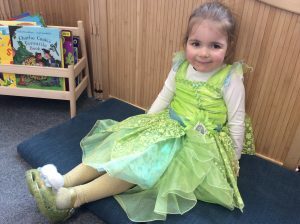 We had a Gruffalo, Cinderella, Stickman and many more. 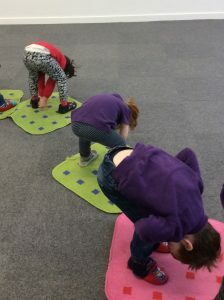 Yogabugs is now at Polkadot Heathcote! 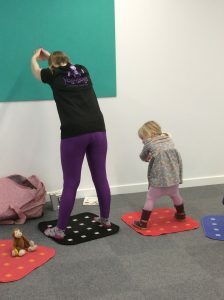 Here at Polkadot Heathcote, Rhiannon from YogaBugs has started coming in on Monday mornings to do YogaBugs classes with the children.